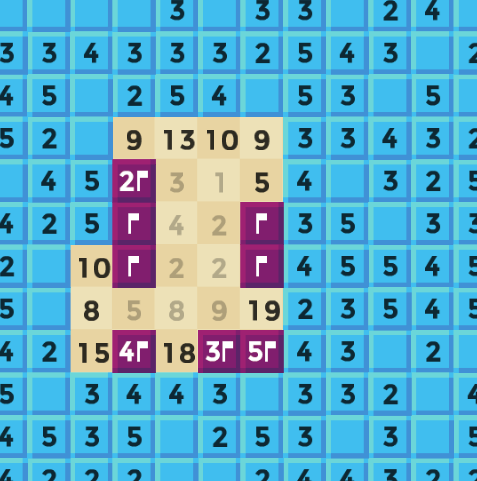 This was a really fun variation of Minesweeper! And the control scheme is really clever; I like how I can drag my mouse to flag multiple tiles. It's pretty cool as a game. Is there a way to save your state so you don't have to do the easy levels over each time? HOW do you change the controls to left/right click? What's the point of the blue numbers? The instructions don't explain the idea well, though I think I'm getting a basic handle on it. Edit: Nevermind, I figured it out. The blue number means either there are that many bombs, or zero. The yellow numbers underneath tell how many bombs are touching that space, so you have to add up the spots next to it. Interesting idea, I like the twist now that I'm figuring it out.